Using advanced computer design, combinations of low dispersion and high refractive index optical glasses, and durable multilayer deposition coatings, Explore Scientific 82° Series extreme wide field eyepieces are optimized to produce high contrast, high resolution, and superior flat field characteristics. The visual effect of these eyepieces with their long eye-relief and their 82° apparent field is truly a full-immersion experience. Your eye is relaxed, allowing you to easily use the "averted vision" technique to study faint details across a huge field-of-view. Explore Scientific's eyepieces are backed with their exclusive Explore STAR Transferrable Extended Life of the Product Warranty. Limited Warranty is one year, which converts to the Explore STAR Transferrable Extended Life of the Product Warranty when product is registered within 60 days of purchase. We think that you will find Explore Scientific eyepieces rank among the finest obtainable and represent an outstanding value. Focus on Value - Explore Scientific invites direct comparison to any eyepieces on the market in their category. Protection from the Outdoors - By making the eyepiece body argon-purged and waterproof, eyepiece internal elements will remain as pristine as the day they were assembled. The sealed, dry environment is impervious to internal fogging and contaminants such as fungus growing in between the lens elements. 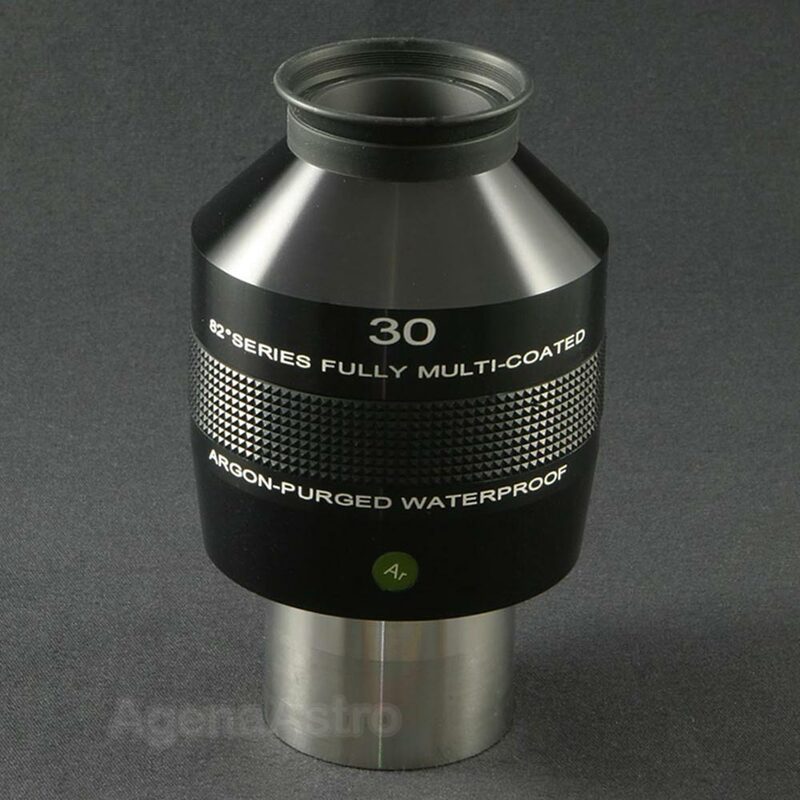 Their waterproof eyepiece is easier to clean, and there is no risk of cleaning solution migrating from the top of the lens and seeping around edges to be trapped in between elements. To insure a perfect seal they test every eyepiece in one meter of water for 30 minutes. Creating an Identity - Explore Scientific looks at purchasing fine optical equipment as an investment, and it should be treated as such. With a unique serial number on each eyepiece, they can track when a product was made, and the owner can document their equipment for insurance and warranty purposes. Providing Peace of Mind - Explore Scientific stands behind their products with the free Explore STAR Transferrable Extended Life of the Product Warranty upon registration of the product. Want to trade or sell your eyepiece? You'll get more value if its remaining warranty can be transferred to the new owner. Please note: Even though they're beautiful looking, Explore Scientific's eyepiece boxes have a tendency to tear along the edges during shipping or use. Hence, you may receive eyepieces in which the edge(s) of the outer box has been neatly taped up by us, or it may even tear en-route from us to you. This does not indicate a used or blemished product.